They have a membership as well that you can join which will help keep the cemetary grounds open. You can find the newsletter here, though the quality is not so good. The editor is in Germany at the moment, but I'm going to tell him anyway via e-mail. Sorry about that. I could have sworn that I had replied to you and thanked you for the wonderful link Laura! I remember typing it..oh the nuttiness of computers eh! 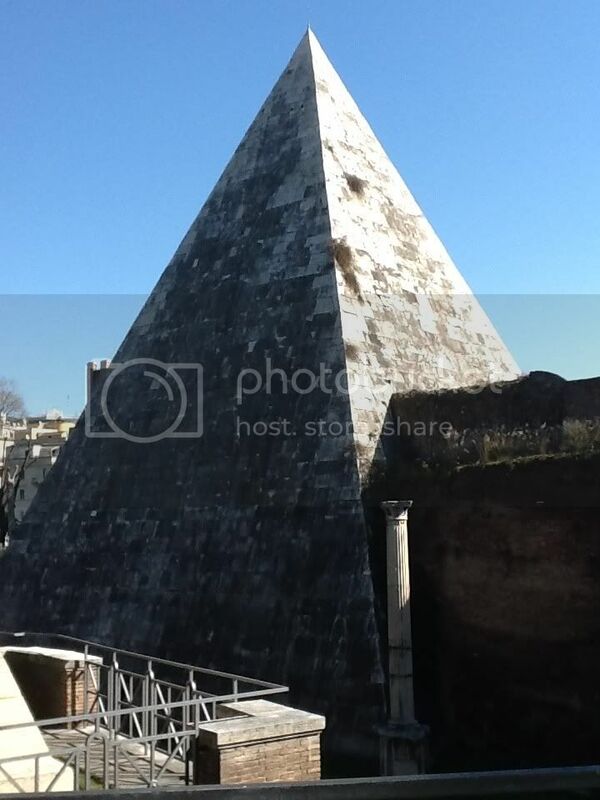 Just to let everyone know that by chance I am in Rome this week, as we remember the 191st anniversary of our hero's sad demise, and I have fulfilled two of my 'must do before I die' ambitions. On Monday I visited the house on the Spanish Steps and actually sat in the actual room whe he actually lay so ill. It was an emotional experience but it is a very peaceful and welcoming house, and the views are wonderful: he would have appreciated the beauty surrounding him in his last days. 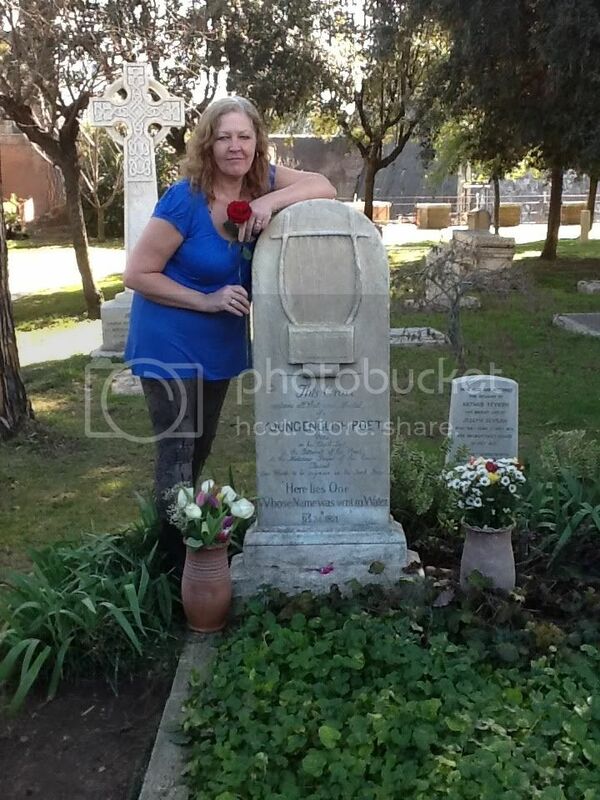 This morning we visited the Protestant Cemetery and I have laid a red rose on his grave. No words can express it. Photos to come when I get home and can post them. Please post those picture Maureen. I must confess how jealous I am to be where you are. Right, as promised, here are just a few of the photos I took while visiting John's grave a few days ago. It was one of those moments you know you'll remember for the rest of your life. The next question is how to get in, which is not immediately obvious from this vantage point. For those who visit after me, the tip is to turn right when you get to the wall and follow it round the corner where you will find the entrance. On the way, you will notice small 'windows' in the wall, and you can imagine my feeling when I looked through one of these and saw the stone I recognised from so many images directly in front of me! I spent several minutes just sitting by his grave reflecting on the fact that I was as close as I could ever get to the man who means so much to us, and lines from Nightingale ran through my head. It is emotional just typing this. 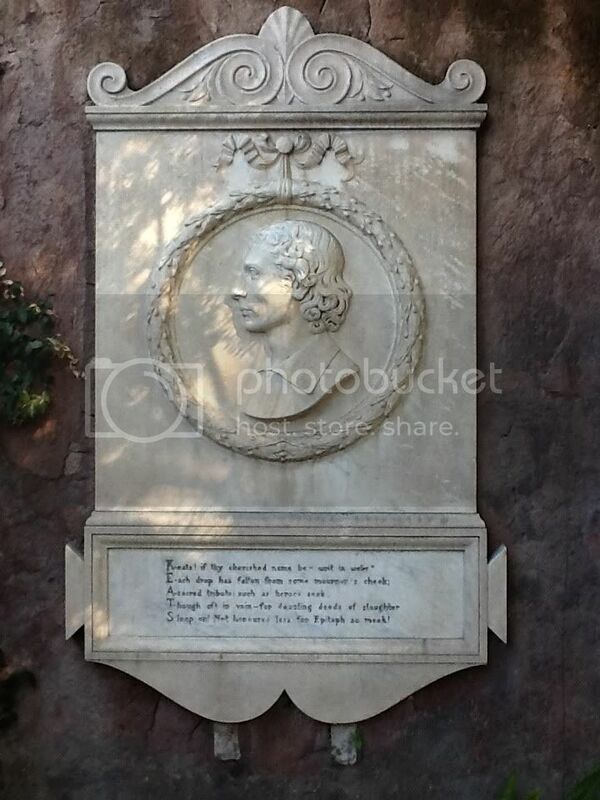 One interesting point is that, although my understanding is that he died on the evening of the 23rd, and this is confirmed by Joseph Severn's letter written a few days later, both his gravestone and the sign on the side of the Keats/Shelley Museum give the date of his death as 24 February. Yet the museum displays Severn's letter. Anyone any idea why that is? Wonderful pictures Maureen; thank you for sharing them. I think they are as about as close as I'll ever come to being there myself, it feels like I am just there looking at them. Again, thanks Maureen! I fully agree with Saturn's post. I must say I am really impressed with the great clarity of the photos. In the shade, during the day, you managed to take superbly clear photographs. Thank your husband for me too! I am so glad to see these and very grateful for your camera and steady hand. What a thing to see. I told my wife that if we ever go, she will have to be patient with me as I would need a day to see the place. Great photos, Maureen! Gorgeous blue skies and clear sunlight, too. Thanks for sharing them! I totally agree about the entrance to the cemetery not being immediately obvious - I wandered around to the left and only found out how to get in after following some American tourists who were looking at an aerial map on their iPhone (I apologise for using the word "iPhone" on a forum about the great John Keats ). Lovely to see lots of flowers on his grave - when I visited at the beginning of October last year, his grave looked lonely without them (although Severn is always there, his steady friend to the end). What I found a shame but totally expected was that the area surrounding the Protestant cemetery has obviously become very built up since Keats's burial. Now, instead of the fields with dozing shepherds and a profusion of wild violets, you have the chaos of traffic and a huge main road that you almost have to risk your life to cross to get to the pyramid... I would rather think of Keats "resting" near fields of rambling terrain, with the occasional butterfly or bee fluttering or buzzing by. 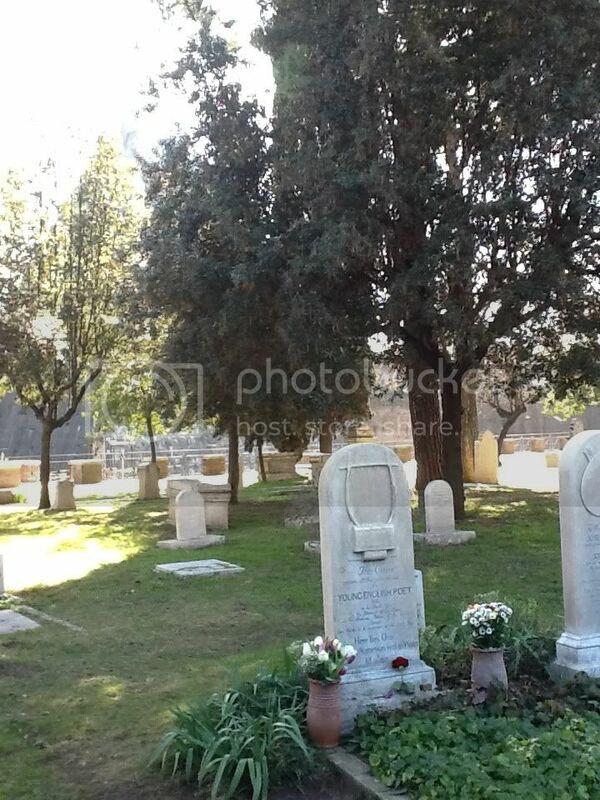 His grave looks very well kept and so does Joseph's- so glad to see that. Let me add my voice to those thanking you for the wonderful photos, Maureen. 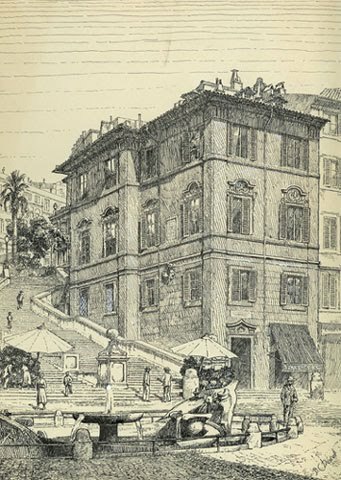 It's unlikely I'll ever get to Rome in person, but you've allowed me to travel there in my imagination. Joseph Severn is my great grandfather, (Claudia Severn married Frederick Gale), he is buried next to his child, who died in a crib death, and his dear friend Keats. My great grandmother, Elizabeth Severn nee' Montgomerie died in Marsaille, France and where she fell ill and is buried there. She died before Joseph arrived. 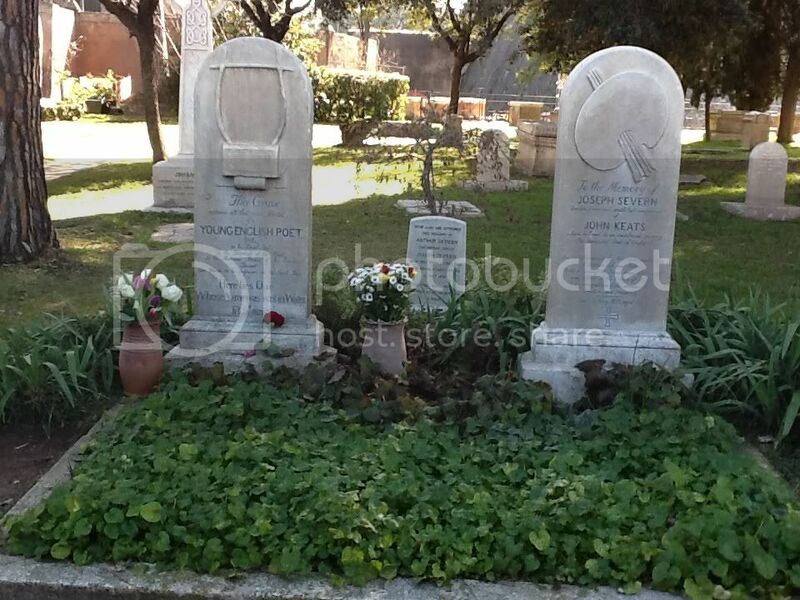 Joseph was an instrumental in promoting Keats legacy and honoring his friend with a proper burial and headstone. 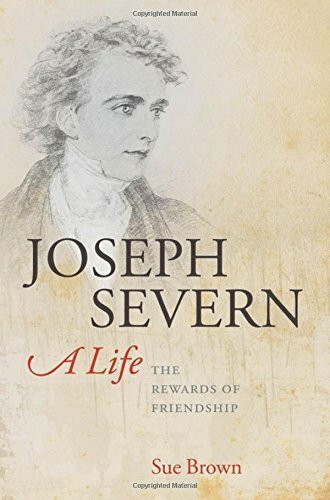 Joseph's life was very full, outside of his relationship to the poet, art, consulate duties, family and friends were of utmost importance to him. 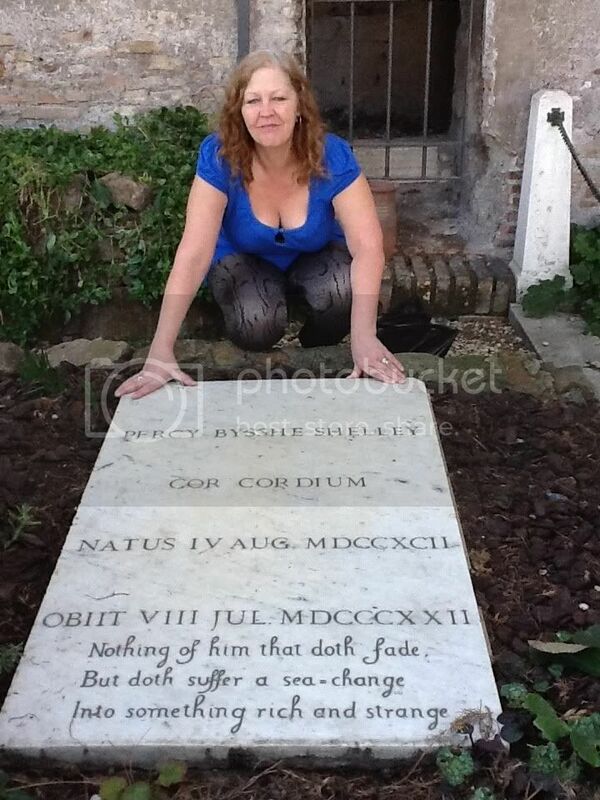 His love for Keats paled in comparison to the rest of his family but he remained loyal to Keats. Nice to hear from you Shannon. I've read 'Against Oblivion' by Sheila Birkenhead who was married to Severn's great-grandson. And you must also be the grand-niece of Mary Severn (Newton) who painted a beautiful self-portrait but sadly died in her thirties. Very interesting. 137th anniversary of Joseph Severn. Just read his biography a few months ago; what a fascinating life he led, both before, and after his friendship with Keats.